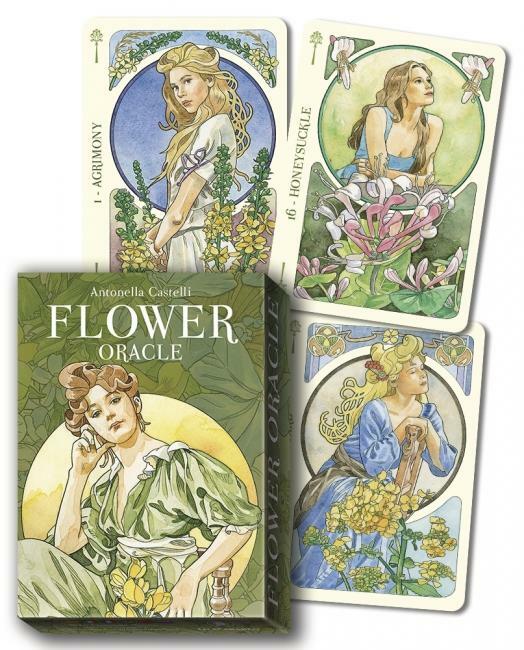 Enter a realm of natural beauty and color with the Flower Oracle. A sumptuous collection of Art Nouveau-inspired artwork, these cards evoke the highest energy of goodness and light, with blooming flowers, graceful women, and a touch of nostalgia. Fine artist Antonella Castelli brings each image to life with her unsurpassed mastery of this popular style. Nature s mysterious wisdom awaits with every reading of these magical cards. Kniha 128 stran a 38 karet 10 x 15 cm. Formerly sold as Bach Flower Inspirational Cards.